Think that empty shampoo bottle is just a bottle? Think again. With just a rinse and a recycle, empty bath and beauty bottles can take on new life and return as hairbrushes, backpacks or even backyard play set. 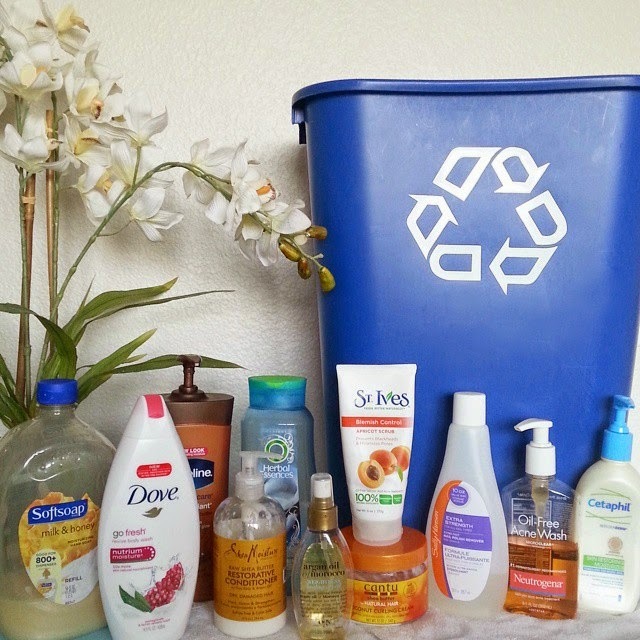 The new Unilever Bathroom Recycling Index found that while a majority of Americans are aware that their empty bathroom bottles are recyclable, less than half report regularly bringing them to the bin. As a result, common bathroom products like shampoo, body wash and lotion bottles could be more likely to end up in landfills than their kitchen counterparts, contributing to the nearly 29 million tons of plastics sent to landfills each year! Unilever – the maker of products including Dove®, Suave®, St. Ives®, Caress® and more – is stepping in to inspire Americans to clean up their act in the bathroom - but they can’t do this alone - and so the company has introduced the Unilever Bright Future initiative. What began as Project Sunlight in 2013 has evolved into a larger movement designed to bring Unilever’s purpose to life and inspire Americans to take small actions that add up to a big difference – whether that’s wasting less, sharing more, turning off the tap, turning on community activism or, simply, recycling – because everyone has a role to play in creating a brighter future. I don't know about you, but I'm totally inspired to join in this initiative! The picture in this post is of my current bathroom products (empty or near empty) that I would have just tossed in the trash prior to learning what they can return as in a new life. Going forward I will make a conscientious effort to Rinse, Recycle, and Reimagine my bathroom empties. Will you please join in the Bright Future initiative? That's great, it is so important to be conscious of these things!